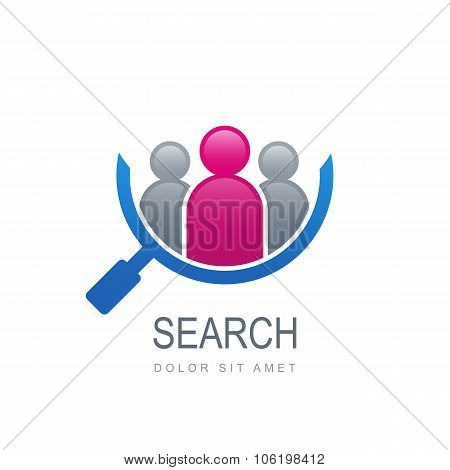 Image of Abstract People Silhouette In Magnifier Shape. Abstract people silhouette in magnifier shape. Vector logo template. Design concept for search for employees and job business human resource and professional headhunting social network. Explore millions of royalty-free stock photos and vectors at great prices. Download the photo instantly after purchase. You can use this stock photo for your creative project related to 'Abstract People Silhouette In Magnifier Shape. '.